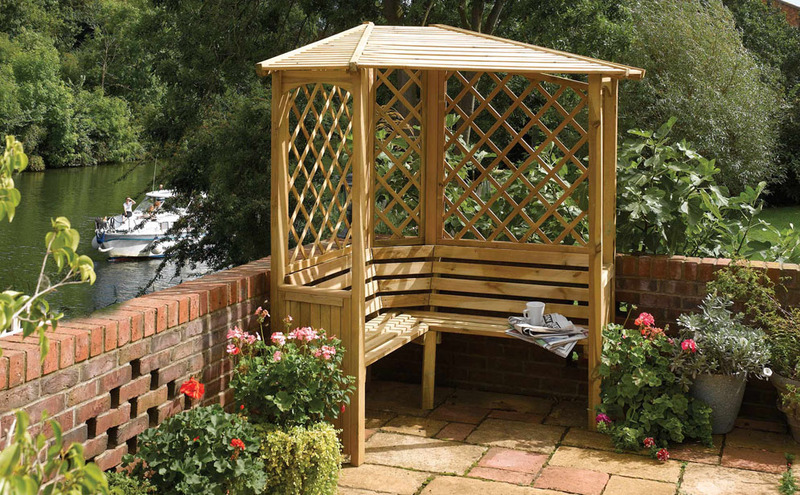 The Balmoral Corner Arbour from Rowlinson is a beautiful outdoor seating timber structure providing a unique looking shelter for quiet relaxation. This free standing arbour features a slatted fixed seat, a lattice back panel and an open slatted roof. Make this superb arbour seat the focal point of your garden and enjoy quiet times with your favourite book. 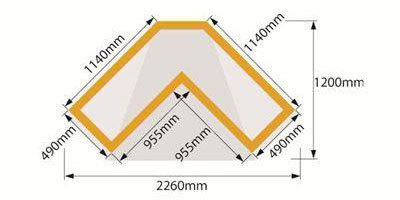 This superb arbour will fit into any right-angled corner and can be painted or stained as desired. Click the button below to add the Balmoral Corner Garden Arbour to your wish list.